I love September. It has an air of new starts and possibilities, more so, I feel, than in the New Year when the weather is a bit bleak and I feel like hibernating under the duvet rather than embarking on new projects. I really enjoy tidying up spent plants, collecting seed, leafing through the seed and bulb catalogues and planting out biennials and bulbs in anticipation of spring flowers. Or could it just be that I'm relieved that my children have returned to school, after the long summer holidays?.. Its not all about planning and planting for next year though - there are still lots of flowers for picking in bloom in the cutting garden. 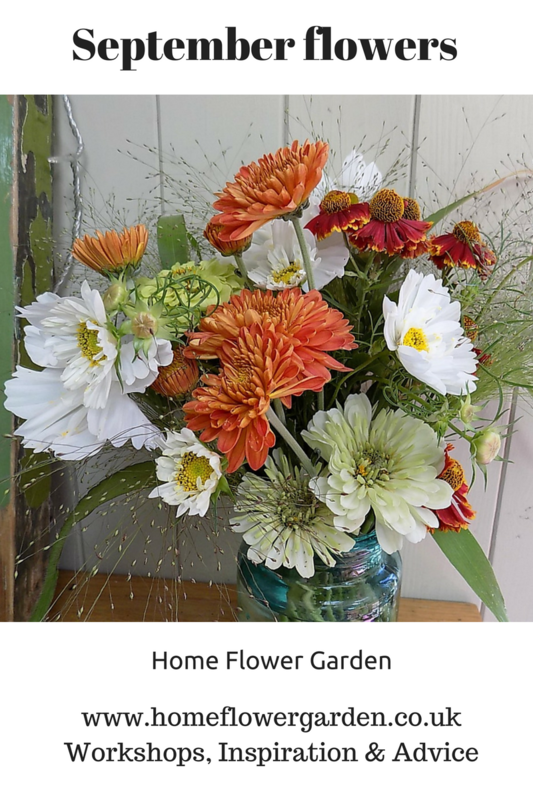 Cosmos, Zinnias, Dahlias, Scabious, Heleniums, Echinacea, Rudbekia, Asters, Chrysanthemums, Panicum grass, Roses and Verbena bonariensis are all looking good. 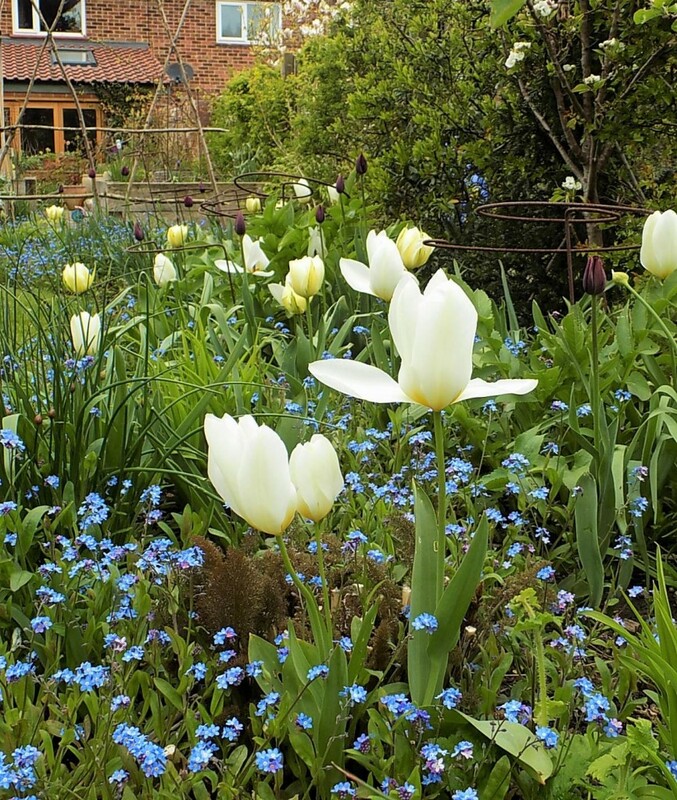 Earlier flowering annuals such as Cornflowers & Sweet peas have done their thing and can be removed to the compost heap, freeing up ground for planting either biennials, bulbs or for direct sowing hardy annuals. Before clearing annuals, collect any seeds from your plants for either sowing in spring or for sowing now. Sowing hardy annuals in September will give you a head-start in the spring and you should get flowers up to a month earlier than if you sow them in early spring. I sow a few hardy annuals directly into any spaces in my cutting beds and also sow a few in pots in the potting shed. I'll then also sow a lot of seeds in the early spring as I like to hedge my bets. Autumn-sown plants do have to withstand slugs and the vagaries of winter weather so you do have to keep an eye on them. Last winter was so mild that the slugs were still out munching for most of it so you can easily find that all your lovely seedlings have been nibbled to the ground. More on seed-sowing here. September is also the time to start planting spring flowering bulbs (all except tulips which benefit from going in the ground later on in November). I love nothing more than poring over the bulbs catalogues looking for new and interesting Tulip varieties for my cutting beds. I always plant up some small pots of Iris reticulata at this time of year which can be brought into the house for flowers during the winter. During this month, ensure that you keep on top of watering and feeding plants and don't skimp on dead-heading. 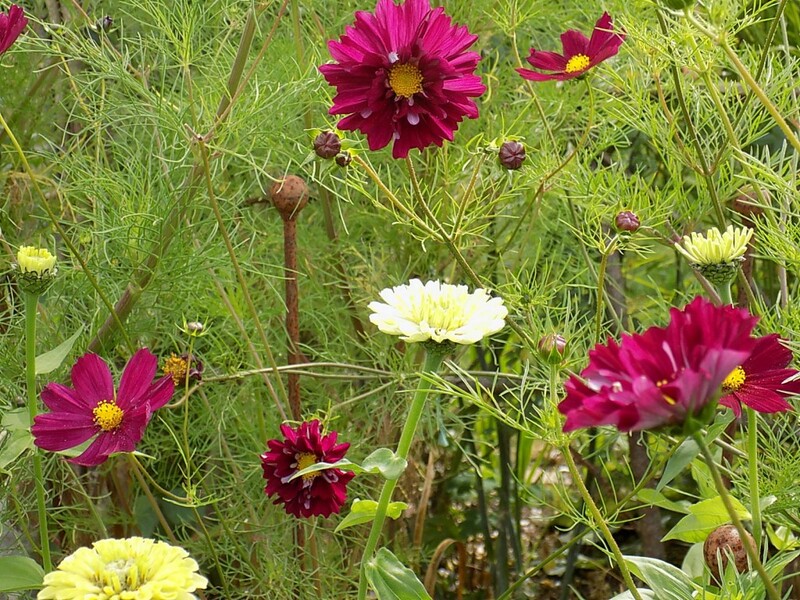 With dead-heading your Dahlias, Cosmos etc will go on flowering right up to the first frosts which hopefully are a few months away as yet.